When it comes to providing trusted holistic home health care services, Omega Home Health Services, Inc. is the right agency for your loved one. Every day we strive to deliver excellent quality care to our patients to make sure that they receive the services they deserve, which are provided in a dignified, courteous and respectful manner by our staff. The Agency's mission is to provide professional and paraprofessional services to clients in their homes assisting them to achieve the highest level of potential in their day to day self-care activities. We are committed to providing high quality, multidisciplinary care by professionals who recognize the need for comprehensive assessment of needs from both the client and professional's point of view. 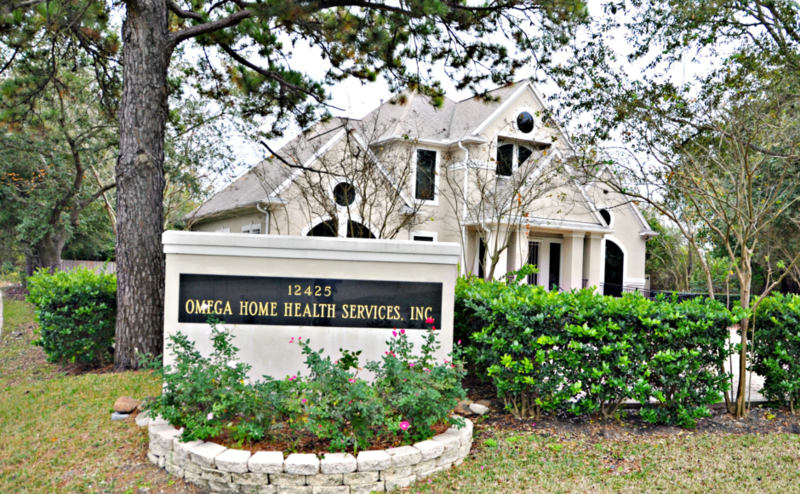 Omega Home Health Services, Inc. was founded in 1997. Our agency became Medicare licensed in 1999 and was incorporated in 2000. Omega is affiliated with the Texas Association For Home Care and has been CHAP accredited since 2000. Our service areas are Harris County, Fort Bend, Galveston, Liberty, Wharton, Walker County, Rosenberg, Matagorda, Montgomery, Waller County and its surrounding areas.